With a range of stunning and vibrant colours in our copper florist wire, we're sure to have what you are looking for to bind and decorate your next project. Koch & Co have many years of experience in importing the best products and selling them directly to you at wholesale prices. We ensure that we offer a wide variety of high quality products, so our customers can always find exactly what they want. We offer painted designer wire that both looks and feels like copper wire. It comes on a wooden stick and it is very easy to use. 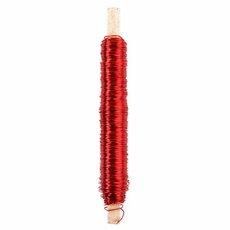 Each stick comes with 100 metres of 0.55mm thick wire. 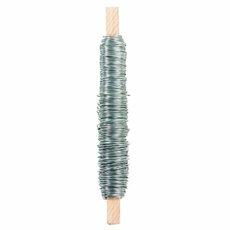 Our wire comes in an assortment of colours, including green, gold, black, brown, copper, pink and much more. It is easy to work with and is great for binding together your flower arrangements. Use coloured wires to decorate your wedding flower work, event flowers and other fresh flower arrangements. Coloured copper wires will highlight the detail in your floral corsages and fine florist design work. 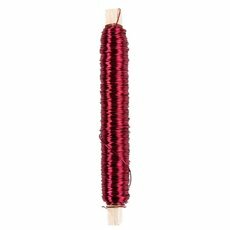 Coloured copper wire is a soft wire that is thicker than bullion wire and comes in great fashion colours. Use coloured copper wire to enhance your floral designs, hide your binding work, as well as highlights your floral arrangements and/or add accents to wedding and event decorating. We sell our products Australia-wide, with quick delivery to metro Sydney, Melbourne, Brisbane, Perth and Adelaide. Bind your arrangements with some of our beautiful coloured copper florist wire.